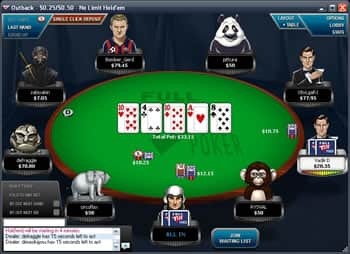 Full Tilt Poker™ 2019 - $600 FullTilt.eu Bonus FREE! Join now to receive a First Deposit Bonus of up to $600! FullTilt.eu Poker is GLI accredited and licensed in the Isle of Man. Visit Full Tilt Poker Get Your $600 Bonus! Video Review: See Full Tilt's excellent game selection and user-friendly software in action. Poker take great care over their gameplay quality and have their RNGs independently audited by GLI. Fast, secure payment with some transactions instant. ? All legitimate, real-money poker sites like Full Tilt Poker use top anti-fraud screens that can delay withdrawals slightly. Full Tilt Poker match your initial deposit 100% up to $600. Deposit $100 and get $100 extra. You earn this bonus simply by signing up and making your first deposit. ? You will then have 60 days to use your bonus. Please read the terms and conditions carefully. When signing up at Full Tilt Poker use the Full Tilt Poker Download on this page for a 100% up to $600 deposit bonus. Looking for Full Tilt Bonuses for free money? We offer an exclusive promotion for the best Full Tilt Poker Bonus 2019. By using our FullTilt.eu Poker download to sign-up you’ll get an amazing deal that includes not just a 100% up to $600 bonus but you’ll also get access to exclusive Cardschat $200 freerolls twice a week and $5 buyins with $200 added at Full Tilt Poker. In total we run $3600 of exclusive monthly freerolls and tournaments. The passwords will be available to every registered member of our forum a few hours before the event is due to start. Full Tilt Poker 2019 Bonus $600 - www.fulltilt.eu - the place where the pros used to play. 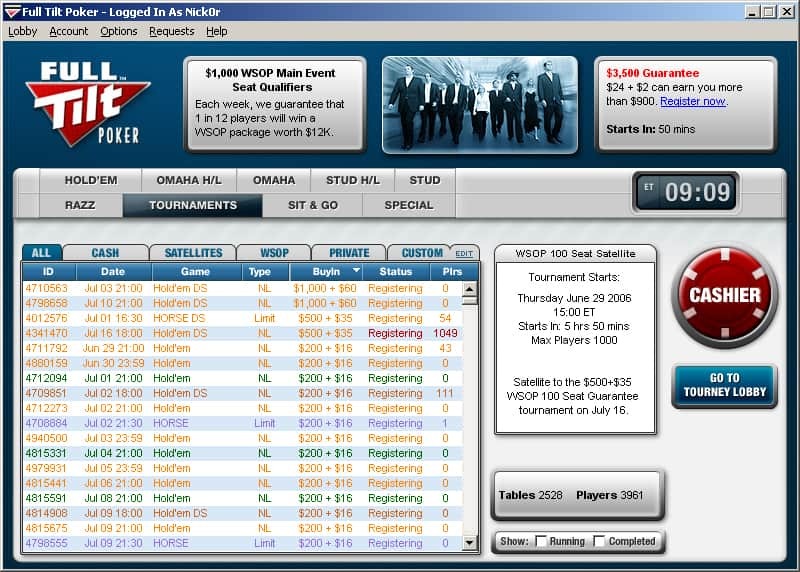 Full Tilt Poker was one of the major poker sites targeted by the DoJ in 2011. This meant Full Tilt.eu was closed for a while until it was later bought by PokerStars. Subsequently, players all around the world were left in limbo due to a mismanagement of funds and an inability to pay players their balance. This left players bitter and unsure as to the future of their funds and the FTP site overall. 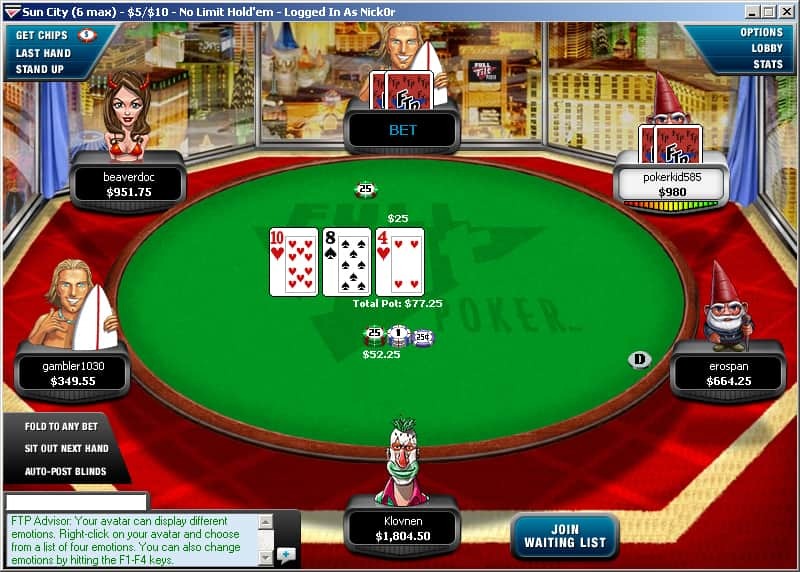 In November 2012, FTP "re-opened" its virtual doors, after being bought by PokerStars. If you want in on the latest Full Tilt Poker action, just use the Full Tilt Poker Download for a 100% up to $600 when you enter the deposit Full Tilt Poker bonus. The mistrust and trepidation many players felt about either keeping funds at FTP or depositing were greatly offset by the buy-out, as PokerStars had shown itself to be trustworthy and competent in the chaos that followed April 15, 2011. This is why we feel confident in fully recommending Full Tilt to our players now. Full Tilt Poker is the largest site after PokerStars but they share that spot of second place with a couple of other sites. The game selection at www.FullTilt.eu is good, buy-ins cater to most bank rolls but the majority are found in the micro, small and medium stake respectively. The software is the same as it always was - the best on the market. 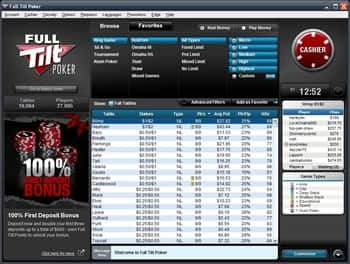 Full Tilt Poker's software is so graphically appealing that it’s pretty much in a class of its own when compared to all the other online poker sites. The FTP software flies through every move effortlessly and is extremely fast. After you’ve signed up with our Full Tilt 2019 download you can change the background, automatically be seated in the center of the screen, change your avatar, show emotions and fiddle with loads of other cool features. Navigating the different games and tables is easy as well. Even the betting area during the games is the best around! The software is also completely mobile friendly - check out our Full Tilt Poker mobile page for more info. Full Tilt Poker has a VIP reward system that offers 10-25% for rakeback according to the amount of raked hands you play. Ever since FTP publicly declared they no longer wanted to attract the "rake-back grinders", it’s been a blessing for everyone but the pros. That’s because as better grinders stay away it leaves mediocre players dominating the player pool. You can play any of Full Tilt Poker’s wide range of game variants on their one FullTilt Poker download client and the range of games available is above average. You can also earn FullTiltPoker points which you can redeem for ring game tickets. You must then clear a certain amount of bonus points to redeem the ticket, BUT you keep any profit over the maximum ticket value if you leave a table having more money in your stack then the ticket is worth. Rush poker is also available and ring game tickets may also be used for these games after downloading the site. FullTilt.eu Poker also runs various freerolls daily. The majority are NLHE games, but they also have the occasional Razz, Omaha Hi and HORSE games too. Another neat addition are the country specific freerolls that are only available to players in certain countries. When it comes to Sit and Go’s, Full Tilt Poker's got it covered. Their SNG's include a selection of games like NL and PL HE. Most poker games are offered in 1 table, multi-table 6 max, full ring, and Heads Up (1 on 1) formats with buy-ins ranging from 30 cents to $5000. On the tournament front, Full Tilt Poker has a very good game selection and buy-ins to satisfy most bankrolls. The hold'em MTTs are pretty much all about NLHE, although they do offer some PL and FL action. Also on the menu are Omaha hi and hi/lo, stud, draw and some mixed games. There are also plenty of satellites to the bigger events. Since its reopening, FullTilt.eu has established itself again. Our At Full Tilt Poker experience so far has seen the competition be quite soft – although not as soft as at other sites.. Many players play 1-2 tables, or mix games simultaneously, which can be the tell-tale sign of a beginner or a poor gambler. there are a number of regular players, ranging from quite bad to pretty good and there are more than enough newbies and loose bad players to make games worth playing. Having said that, traffic at Full Tilt Poker isn’t back up to the level it was before it closed down on Black Friday. The traffic is still pretty good, but a long way from where it used to be. Even still, it seems to be a close second (after PokerStars) in terms of overall traffic. As in all other games, the selection and traffic have suffered somewhat after Black Friday, but Full Tilt Poker still has very good game selection and buy-ins to satisfy most bank rolls. The hold'em MTTs are pretty much all about NLHE, although they do offer some PL and FL action. Also on the menu are Omaha hi and hi/lo, stud, draw and some mixed games. There are also plenty of satellites to bigger events. Like the ring games tickets, tournament tickets can also be bought for FT points. Are you looking for a bonus code or referral code for Full Tilt Poker / www.fulltilt.eu? Well, you’re going to like this a lot: There is no Full Tilt referral code needed when you use our FullTiltPoker download, but when you use our special Full Tilt download you will get a massive 100% up to $600 Full Tilt Poker sign up bonus. 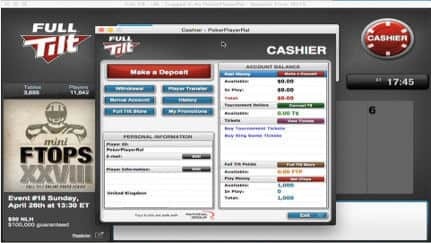 You can use this FullTilt download 2019 free of charge at sign up or deposit at FullTiltPoker. On the subject of funding and withdrawing from your account, it’s worth taking into consideration the Full Tilt Poker offers loads of payment options. These include all the usual like Visa, Neteller, Skrill, local bank transfer and check are the current options. FTP offers a number of promotions so it is best to keep checking the "Promotions" tab in the lobby to see what is currently on offer. There is now a Full Tilt Casino, which offers even more games and promotions to go along with them. The options are the same as always. In this respect, as in so many others, only time will tell if they are improving or not. Full Tilt Poker has lost traffic and game selection, but so has every poker site since Black Friday. They seem to be the largest site after PokerStars, but have lost their large edge they used to have and now share that second place with a couple of other sites. The game selection is quite good, buy-ins cater to most bank rolls, but the majority are found in the micro, small and medium stake respectively. The software is the same as it always was, which, in most players opinion, is still the best on the market. Get the www.fulltilt.eu and www.FullTilt.com software free and get a 100% deposit bonus of up to $600 using the 2019 Full Tilt Poker Download! Video 2: See how Full Tilt makes it easy to jump straight into all varieties of free and real money games. Video 3: Fully customisable tables offer the most personalised experience out of any online poker room. Join Full Tilt Poker Today and double your deposit up to $600!